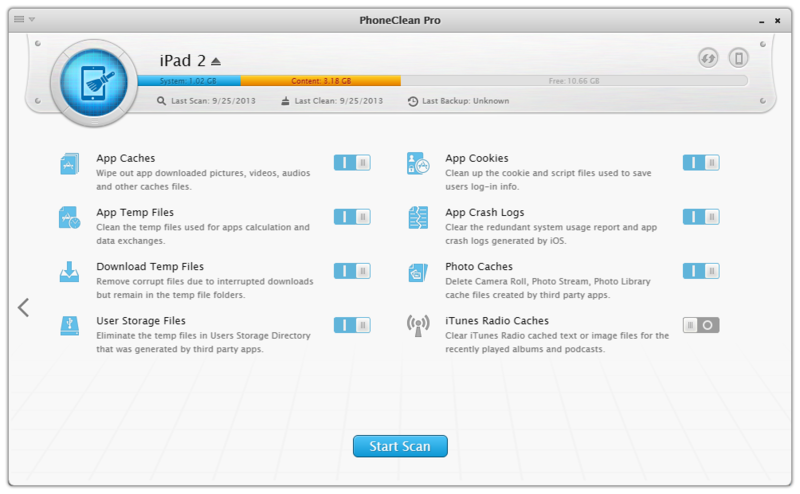 In this new version, PhoneClean digs deeper into iOS file system to help you find and delete more useless junk files. Newly added scanning folders include App Crash Logs, Download Temp Files, Photo Caches, and User Storage Files. Read on to find out what these junks are and why they should be removed from your device. The cache and off-line files include images, snapshots, video/audio media info, etc. which are created to speed up files access temporarily. But over time they may occupy over 1 Gigabyte space absurdly. Every time initiating an App, you have to wait for a long time to let it load these data. When processing complex calculations and data exchanges, iOS Apps will produce temporary files, which will be rarely used again once they fulfilled the statistical purposes. These one-off data are supposed to get removed as soon as you quit the Apps. If an app is freezing or crashing regularly, iOS may generate corresponding crash logs on your devices to help Apple diagnose any issues. Crash logs contain information about what the app was doing just prior to the crash. In most cases, these redundant system usage report and app crash logs are useless. The failed or unexpectedly terminated iTunes syncs / download will generate temporary or corrupt media files too. They are part of the Other on your iPhone and are viewable through iTunes. For the devices still using iOS 4 or below, the situation could be more serious due to the old-school iTunes syncing method. When some third party apps access and use Camera Roll, Photo Stream, Photo Library data, they will create cache files, which record the photo thumbnail as well as other info. If previously you used iPhone file browser or explorer software, which allows an option to explore the disk use of idevices, then you may have stored some files on your iPhone or iPad. In case you have ignored them, PhoneClean shows them up so that you can choose and delete these useless files. iTunes Radio is a great recreation centre until you found considerable cache files there. Along the lines of "peace of mind", PhoneClean smartly clears iTunes Radio caches including the text or image files for the recently played albums and podcasts.